Hoof abscesses are one of the most common causes of acute onset lameness in a horse. Wet weather, extreme dry conditions, sudden changes in moisture can all make the hoof more susceptible to the formation of an abscess. 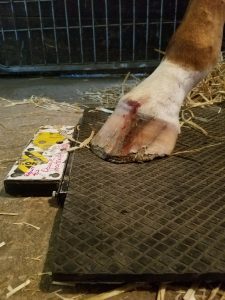 Even with the most diligent prevention techniques including frequent hoof cleaning and routine farrier care, abscesses can still form as bacteria finds a way into the interior hoof structure through tiny cracks, puncture wounds, misplaced or close horseshoe nails and more. Once formed, the goal for treatment is to get the abscess to open up and drain the infection out. Many time the abscess will travel up to the coronary band searching for an exit pathway that provides the least resistance, and this is the scenario presented in the case detailed below. A major benefit for horses from PEMF is the ability for the pulsed electromagnetic field to penetrate the hoof wall promoting circulation not only in the laminae but also deep inside the hoof. Respond Systems’ IronFoot uses a proprietary blend of power and frequency to gently yet effectively induce micro-circulation on the cellular level to force movement of ions, nutrients, oxygen, waste and fluid into and out of the cell. In addition to the physical stimulation on a cellular level, additional biochemical mechanisms are stimulated into action to increase the formation of macrophages to help further combat pathogens. The horse was also on an antibiotic during this time as well. Accelerating the healing process with PEMF can help to reduce stall rest time and aid in preventing compensatory issues and conditions. 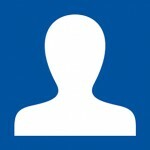 For more information on PEMF, the IronFoot or other PEMF and laser therapies, visit respondsystems.com. 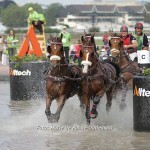 To perform at the top level my horses get the top care. That’s why I choose Respond Blanket for pre and post muscle therapy. The blanket is excellent and so easy to use. Our horses fall asleep when it’s on they love the therapy! We have been using Respond Systems therapy blankets and lasers since 1996. The whole crew from Respond Systems is fantastic to work with. The therapy blankets get tuned up every fall and come back good as new. People ask me if I have ever worked with other magnetic products or lasers, and I have always said that I have no need to. Respond Systems answers all the questions they should. It’s a product that you wouldn’t know you needed it until you have had one. In driving with the marathon carriage being 600 kilos and the horses having to work well over their back, Respond Systems is a big help. We use the Sentry Blanket before and after every competition, to loosen stiff muscles and aid in recovery. 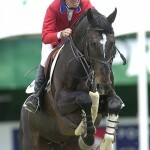 I ask for maximum performance from my horses over three tough days of competition, so I need maximum therapeutic support. 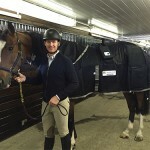 I use the Respond Sentry blanket before and after competition and see immediate positive results. The Respond Systems Iron Foot Pad has become a mainstay in our horse management program. 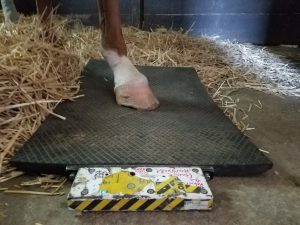 Our event horses feet are arguably the most important body part related to their soundness and every upper level horse in the barn stands on the iron foot for 25 min daily while they are getting tacked up or groomed. It maximizes circulation in their feet, naturally alleviating pain, bruising, or soreness, and has significantly improved their performance as a result! 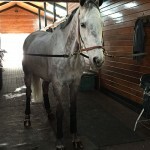 We love it and our horses love it!